As with fashion, product design to repeats itself. However, in smartphones, the design repeat cycle subsumes the best of the now with that of the then. The smartphone is now in its second decade and it would be fair to say that apart from the infinity display there has been little that suggests any revolutionary leap in design apart from apparent display tweaks. Hence a million dollar question is what’s ahead for the smartphone in terms of design. Going by the industry buzz, there is a strong wave in favor of flexible display reminiscent of the early 90’s foldable smartphone. But the flexible display will do more than just aiding in receiving and hanging calls. 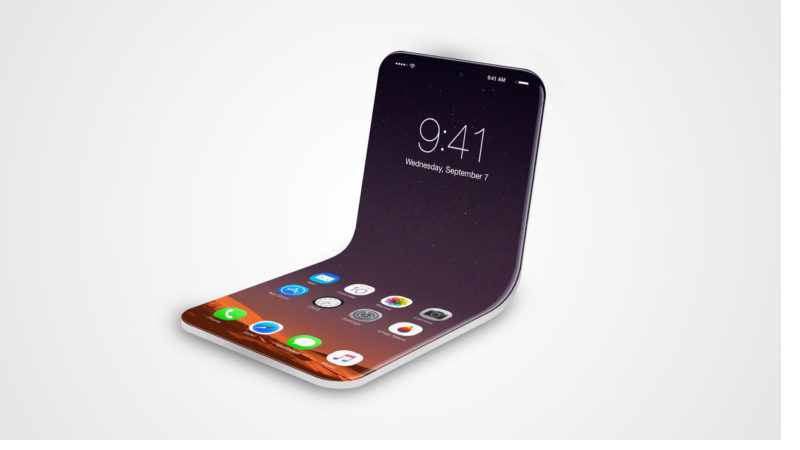 The buzz for what’s on offer is multiplying with each passing day as more and more foldable screen phone patents are filed at an accelerating pace. All this hint towards a future dominated by flexible display phones. An interesting thing to look out for would be the fact that if there would be a single early dominator similar to Apple during the teething stages of the smartphone. However, unlike earlier days, this time around it seems all smartphone manufacturers are ready than ever before to make a strong bold statement at the earliest possible time. 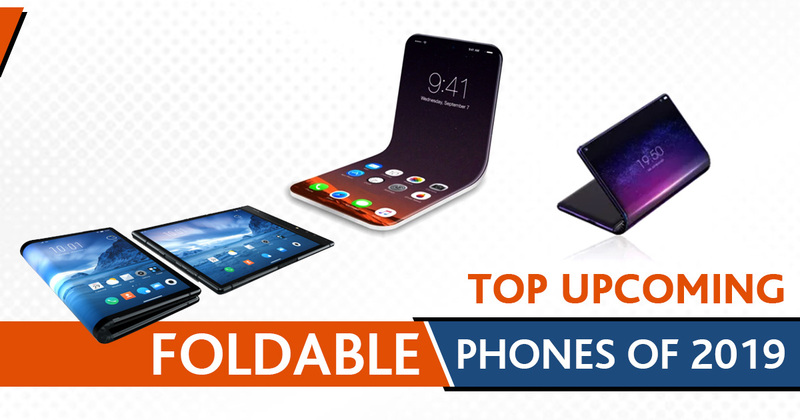 There is now no rumor that the foldable smartphone will ever get launched, as to protect the fact of the foldable smartphone, the Royole FlexPai was recently got unveiled showcasing the worlds first ever foldable prototype. 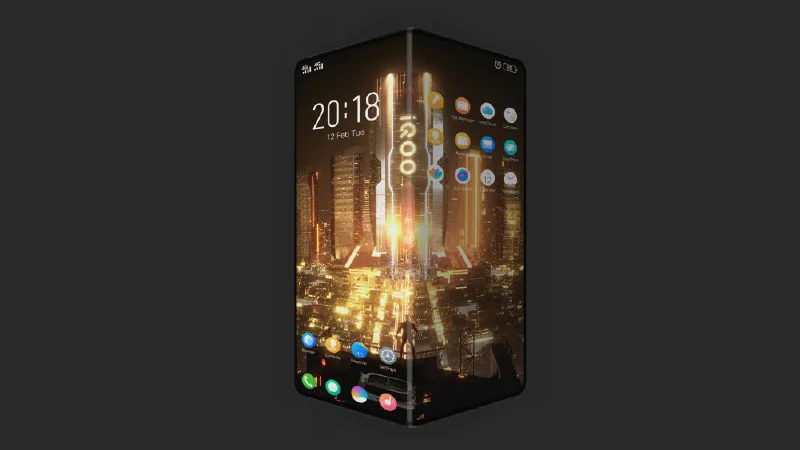 Vivo iQOO’s first foldable smartphone will most probably come with a price sticker of RMB 5,000 (approx Rs 52,600). Vivo is expected to choose the fold-out design instead of fold-in design. As per the images, there will be an edge-to-edge display and the smartphone can be converted into a tablet. Vivo has not disclosed any specification about the foldable device. Samsung is planning to launch two foldable smartphones. And the second smartphone is expected to be a gaming device. It is speculated that the gaming smartphone will have a realistic physical game controller buttons. It is also expected that the foldable smartphone will be showcased at an event on February 20, 2019 held before MWC 2019. Samsung filed a ‘Display Device’ patent in October 2017 and was published on 29 January 2019 by the USPTO. The images revealed that from the centre the device can be folded and to reveal a physical controller, the second bend is towards the edge that upturns a part of the display. The controller has a six face buttons and D-pad. It is expected that in the smaller screen, the game will be played to keep the device more ergonomic and compact. The foldable smartphone will be named as Galaxy F or Galaxy Fold. 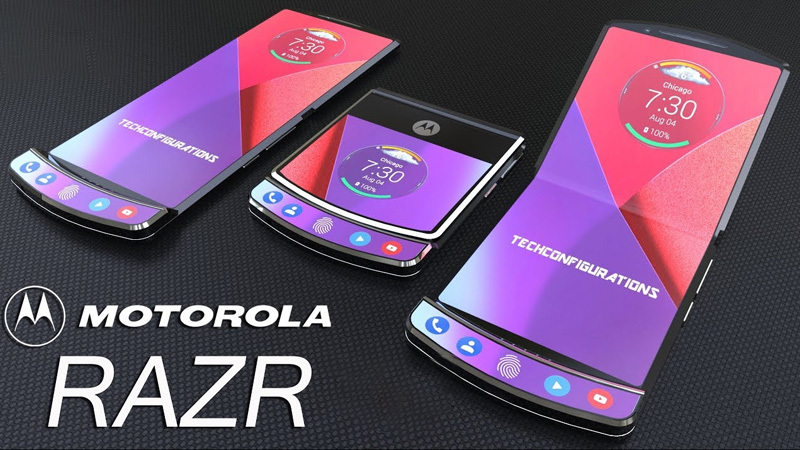 Motorola filed a patent in August 2019 on the Trademark Office and United States Patent and it is speculated that the foldable smartphone will be a line-up of RAZR. The image shown in WIPO on 19 January 2019 shows that the foldable smartphone carries the design of Razr hinge and iconic chin. As per the design registration, the forthcoming smartphone will have two displays. The first display will carry the regular work as it will have a bigger screen size while the second display is small and the screen might contain the information which can be done without unfolding it. First display features a notch and an earpiece and the second display has front and rear camera which is in circular shape on both the top and the bottom. There will also be a fingerprint sensor and a Motorola logo. The smartphone is expected to be launched in February through US carrier Verizon and might cost $1,500 i.e. approx. Rs 1,04,300. 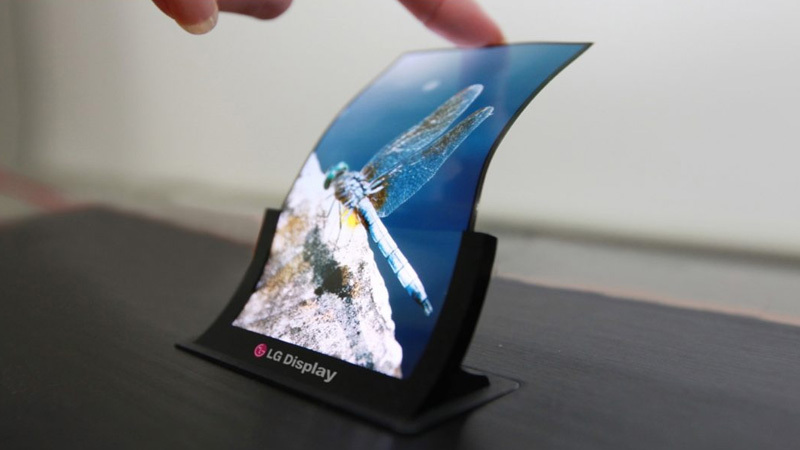 LG has been the flag bearer for flexible displays. LG made foldable screens will even be part of the devices of the Huawei brand. However, unlike Samsung, the patent filed by LG claims a two-screen device that unfolds into a tablet. The folded up figures on the patent suggest two possible design options for the LG flexible phone. In the first design, we see a device that carries a Calera at the rear panel, while the second figure hints a device in line with that of the Samsung Galaxy edge. A notification display panel runs across the right edge of the front side. Lin Bin, President of Xiaomi announced that Xiaomi is working on a “double folding smartphone”. It means that one more foldable smartphone under process. 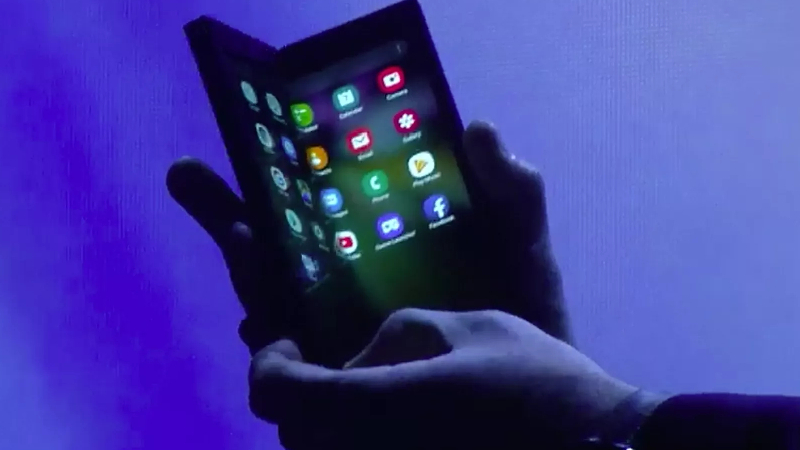 As per the rumors, it is speculated that the foldable smartphone will launch later in 2019. 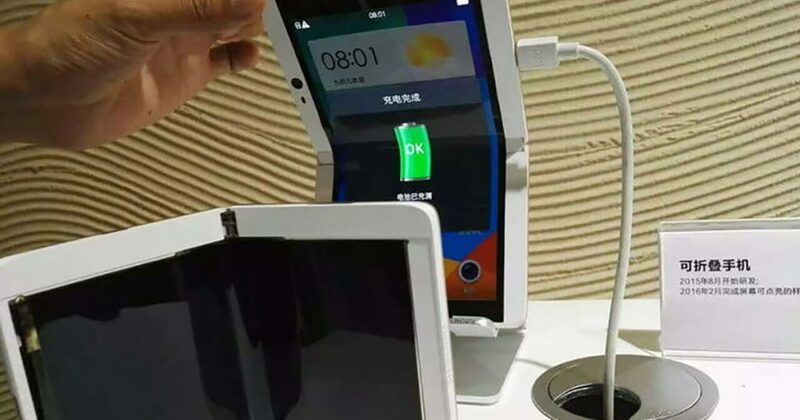 The “double folding smartphone” points out that the smartphone can be folded from both edged and will sport a symmetrical double-folding design due to which the customer can easily convert the tablet into the smartphone with the help of the MIUI. The forthcoming foldable device will sport a slimmer bezel and has an attractive rear side finish. When the smartphone is folded, it looks tightly packed. As per Bin, the foldable devices must be named as ‘Xiaomi Mix Flex‘ and ‘Xiaomi Dual Flex‘. Till now, there is no information about the launch date, hardware and the price. Apple is planning to work on both inward and outward folding designs as per the patent filed by the Cupertino-based iPhone maker. Patent Application of Apple is titled “Flexible Display Devices”. 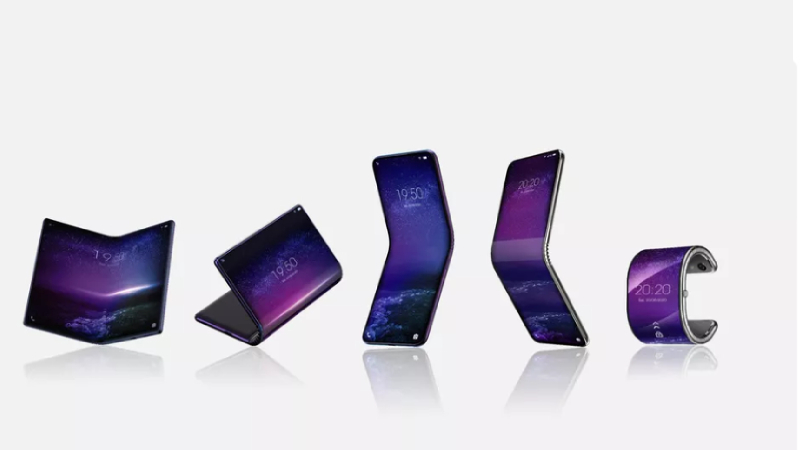 The foldable smartphone might come with the concept of a chin or an outward folding design or an inward folding design or might have double-folding design along with two hinges which will give out three layers. On 24 February 2019, Huawei is going to organize an event in Barcelona at 14:00 CET (6:30 pm IST). The image on the press invite discloses an edge of the forthcoming foldable device hinting us the design of the smartphone. 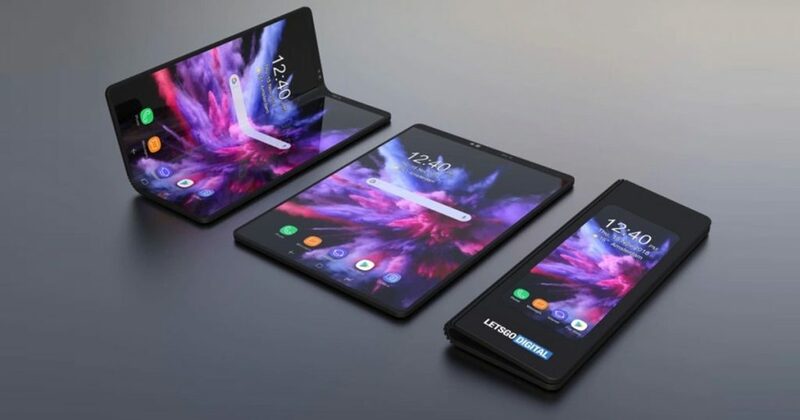 As per the leaks and rumors, under the hood, the foldable smartphone will carry HiSilicon Kirin 980 chipset and a Balong 5000 modem which is used to support 5G network. It will sport a 7.2-inch screen display. As per the reports, Huawei is planning to manufacture 24,000 to 30,000 units only to check the response of the customers. And if it goes well, then the company will manufacture in mass. 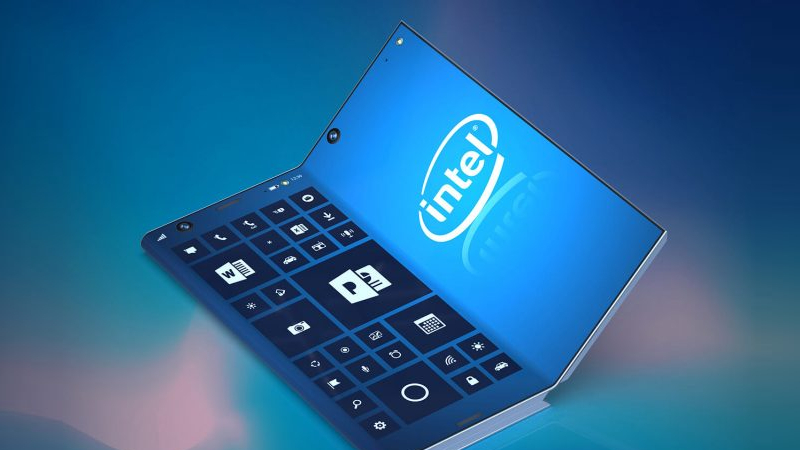 Intel filed a patent for the foldable device in mid-2017 and the images discloses that the smartphone has an tri-fold design and can be folded entirely. In terms of features, it sports a full- screen display, and the cameras, receiver and the sensors are placed under the screen. To convert the smartphone into the tablet, the device has to be unfolded twice. The smartphone can be unfolded two times which means it has three displays and each display has two camera sensors i.e. total of six cameras. The smartphone will also have a stylus pen which will slide inside and will be positioned magnetically. In 2018, Oppo filed a patent for the foldable smartphone which was approved in November 2018. And again Oppo has again filed a patent for the foldable smartphone and was published in WIPO which might sport pop-up cameras. The smartphone might feature thinner bezels, a large screen which is connected with a hinge in the centre of the smartphone and a 3D face unlock technology. It is also expected that the smartphone will be bolded from outside direction and when folded, only half of the screen can be used at a time. The smartphone might have a pop-up camera which is positioned on top of the left-hand side with three sensors. Among these, one might be a selfie camera and the two left out might be an LED flash unit and a depth-of-field respectively. zAt the bottom bezel of the smartphone, it will have a 3.5mm headphone jack, and a USB Type-C charging port. On the right hand side of the smartphone, it carries Volume rocker keys and the SIM card tray. It is expected that, Oppo might showcase the smartphone at an event which will be held on February 23 at MWC 2019. TCL is planning to bring five new foldable smartphones which might include one smartphone which can be converted into a smartwatch, two smartphones and two tablets along with flexible displays. As per the reports, the company is thinking of launching its first foldable smartphone till 2020.